Every woman knows that after 25, regular facials and masks, no matter how well advertised, do not suffice. I am a kind of pure sample—never tried alcohol, smoking, junk food hater, but life wasn't a piece of cake and I did have a wagon of baggage to erase from my face. As a high tech geek and an enthusiast of all “tech,” I used its invention Thermage from inception— from 2007—almost yearly. I researched the reviews saying it did not always work but I knew I am kind of a dog or rat—everything works on me. But this time my usual Thermage seemed impossible to do: doctors found my request ridiculously dated. Dr David Rahimi. Healthy Living Magazine. Dr David Rahimi who runs an equipped by lasers as a futuristic space ship clinic near Healthy LivinG offices in Beverly Hills was adamant about showcasing his magic with the latest in hi-end non-invasive treatment—Ulthera (also known as Ultherapy), avidly adopted by Hollywood gods of both sexes for regular use. Ulthera is a next generation non-invasive procedure designed specifically for skin tightening, mostly aimed for eyebrow, neck and under the chin area. It uses ultrasound to stimulate the deep layers of the skin without affecting the surface and triggers the natural healing process to boost collagen growth over a period of 2-4 months post treatment. Ulthera requires sedation, unlike Thermage, which I was able to tolerate without. 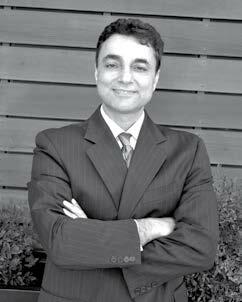 Dr Rahimi is certified by the American Board of Dermatology and Diplomat of the American Board of Cosmetic Surgery, has received the Walter F. Rosenberg award in dermatology, the William Newman award in pathology and performed 100,000 procedures personally as he does with every patient, unlike with Thermage where you are in the hands of a nurse. Ulthera is as costly as Thermage used to be at its introduction but still many times cheaper and safer than invasive tightening. I think of its expense as of any high tech cost— research and development must be paid by us poor souls who want to reap the fruits of it. Which is fair, but still bites. Because Dr Rahimi claimed that this is not a treatment just for 45+ as Thermage was marketed, but for people of both sexes of any age and in fact many patients are under 20—mostly those who lost weight and therefore are in need of skin tightening—we readily provided the doctor with two Healthy LivinG guinea pigs—a 29- and 50-year-old. They say skin starts to age at 25 but that’s merely the undetectable scientific fact of decreasing collagen and elastin levels. In evidence, the first visible signs of aging start at around 30. Even so, skin care should be as crucial as dental hygiene and begin much sooner in life. Monthly facials should begin at around 20, scrubs and moisturizers even earlier. So when skin actually, irreversibly and most viciously starts to lose collagen at around 25, the course of care, particularly of the face, has to be modified to make up for the sudden biological collapse of one’s structural anatomy. Aside from the natural and genetic decline, other factors like health and particularly lifestyle contribute to how quickly after the age of 25 evidence of aging begins to pop up. I had been overweight by about 60 pounds at the most, fluctuating a lot in my early 20s. I had also been a smoker since my teens and all that childishness had come to a divergence with my maturity, and consequently senses, at a lucky 25 years old. Nevertheless, destruction of the skin had begun prematurely. Stretch marks, spider veins and sagging in certain areas had begun before I even hit 25. At 25, skinny and healthy, aside from the smoothly hidden body evidence of weight, I looked and felt better than ever. In fact, due to my normal weight and healthier lifestyle, I felt younger than I ever did at any previous age. The satisfaction was short lived, as by 28 I started to notice first and so far the only signs of aging on my face: smile lines around my mouth. The problem didn’t seem to bother me enough to consider any extreme measures or procedures. After I turned 29 and at the same time was going through a stressful family event, the wrinkles around my mouth became deeper and what was worse was that skin elasticity had worsened, luckily for now visible only to my own eyes. This is when I started looking into non-invasive-suitable-for-twenty-something-years-of-age solutions to premature aging. I had previously tried Thermage, a non-invasive radio frequency therapy, to smoothen my stomach after my weight-loss and was quite happy with the immediate results. When I decided to try it on my face, I was told that Thermage was so last season and Ulthera was the new direction. I did some research, read many reviews and came to the conclusion that in fact Ulthera was the new Thermage. Dr Rahimi performed the laser treatment himself, putting me under medication to numb the painful procedure, which lasted merely a couple hours after which I was ready to go on about my day. Certain results were clearly detectable right away: my upper eyelid was a tiny bit raised and neck lines less visible, making me smoother. The day after the procedure I saw that my biggest concern –the smile lines—had become visibly smaller. Seeing such improvement in the mirror drastically affected the brain, too, creating a better mood, especially remembering Dr Rahimi said that results would become more apparent over the course of 4 months. Today it has been 4 weeks since the procedure and, based on current developments, I am excited about the final outcome. Up to now I’ve been pleased with the following results: smoother skin surface, less defined smile lines, smaller pores, skin on face and neck tightened. Ulthera mended some of the damage from heavy weight loss; accordingly, I recommend it to anyone who has loose skin, regardless of age. I also suggest it to anyone experiencing signs of aging, particularly first traces: it’s the pre-surgical solution to aging and sagging skin for those who are either not ready for a surgical face-lift or don’t yet need one. When choosing a doctor look for experience, broad knowledge of various practices and hands-on training. Dr Rahimi performs Ulthera firsthand, has experience with some 30 various lasers and tens of thousands procedures under his belt so we, two Healthy LivinG repoters, trusted him with ease.